1. 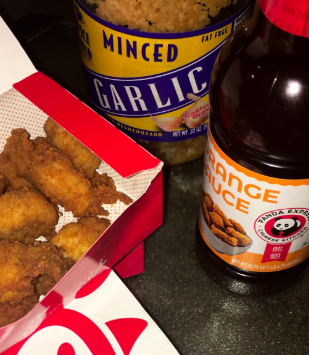 You can create an easy chicken and waffles without cooking your own chicken by grabbing chicken strips from Chick-Fil-A. 2. You can also add a little bit of buffalo sauce to your nuggets to transform them into boneless wings. 3. Upgrade your cheesy gordita crunch by substituting the plain hard taco for a Doritos locos taco. 4. And if you can't decide which Freeze flavor you want, ask for a little bit of all of them! 5. Upgrade your frozen Coke from McDonalds by topping it off with a soft serve cone to create a new type of float. 6. Use your Chipotle bowl leftovers to health-ify your next meal by adding them to a bed of lettuce. 7. You can also do this with an order of kid's meal nuggets to add some protein to your salad. 8. Slurp on this beautiful ombre drink at Starbucks by asking your barista for half of a Valencia Orange Refresher and half of a Berry Hibiscus Refresher. 9. You can also repeat these exact directions to get yourself a one-of-a-kind Thin Mint Frappuccino. 10. 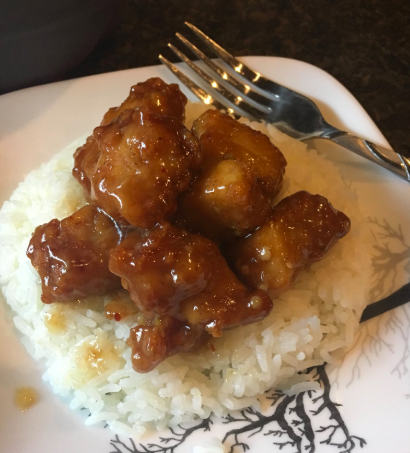 And if you're really, really obsessed with Chick-Fil-A nuggets, create a full on orange chicken meal by adding the orange sauce from Panda Express. 11. Reheat your leftover Pizza Hut in a pan so the crust stays crispy instead of chewy. 12. And we're not saying this is super healthy, but you can reuse Dominos garlic and herb dip as salad dressing. 13. If you're fish-obsessed, try adding a Filet-O-Fish to your egg and cheese biscuit at McDonalds. 14. It's also possible to make poutine from an order of fries, popcorn chicken and gravy at KFC. 15. And finally, if your fast food taco starts falling apart, use a bag clip to keep all the goods inside!